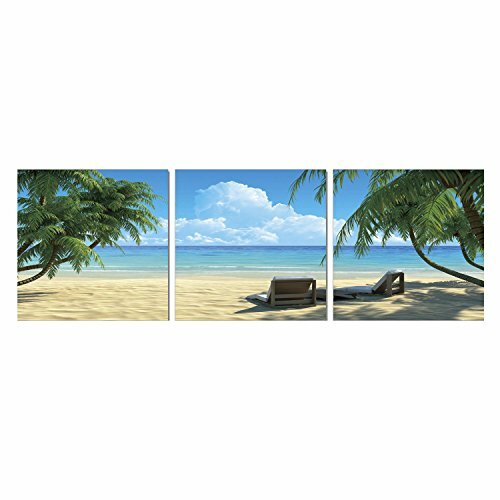 ›Furinno Senik Coconut Tree and Chair 3 Panel Medium Density Framed Photography Triptych Print, 72" x 24"
Furinno Senik Coconut Tree and Chair 3 Panel Medium Density Framed Photography Triptych Print, 72" x 24"
Our triptych (set of 3) prints are our most popular prints. We make them by printing digital photography onto vinyl. We then wrap the vinyl onto wooden MDF boards that are an inch thick to make them super durable. On top of the prints, we laminate with a thin covering to protect the print from stains. They can be cleaned with Windex. We pack them with wall hangers and adhesive strips to give you multiple options to hang them easily. Packed with wall hangers and easy no hassle installation.